I am slightly behind my weekly challenge which was to be expected. There is a lot going on and it is not as easy as I thought to come up with new recipes each week – so far so good. The other day, I asked my friend Agnes over to help me with a sewing pattern (one reason I am delayed this week) and wanted to serve something easy and light. I had a can of chickpeas in the cupboard and used the last of my tahini paste to make a tasty hummus which I was serving with sticks of carrots. As I had more hummus than carrots, I thought that some niche cheese crackers would go nicely with it. I didn’t have a recipe in mind so was playing a bit around and the result wasn’t half bad. They are not crackers like cream crackers but have a bit of a chew to them when they cooled. 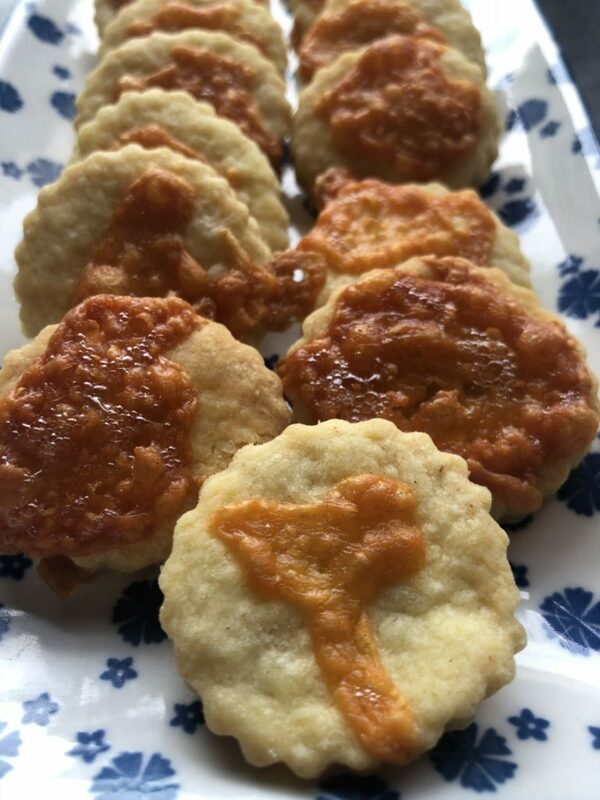 They taste best when they are just cooling down and the cheese on top hasn’t hardened yet but they are also tasty when cold. I gave some of the crackers to Agnes to take home and her boys (husband and son) loved them as well. Preheat the oven to 180ºC. Line a baking tray with baking paper. In a bowl, mix the butter, sugar, salt, egg and water together – it will look a bit weird but trust me, it will work. Add the flour and work it quickly into the mix – you don’t want big lumps. Just be careful not to overwork the mix as the crackers will shrink too much while baking. No need to chill. 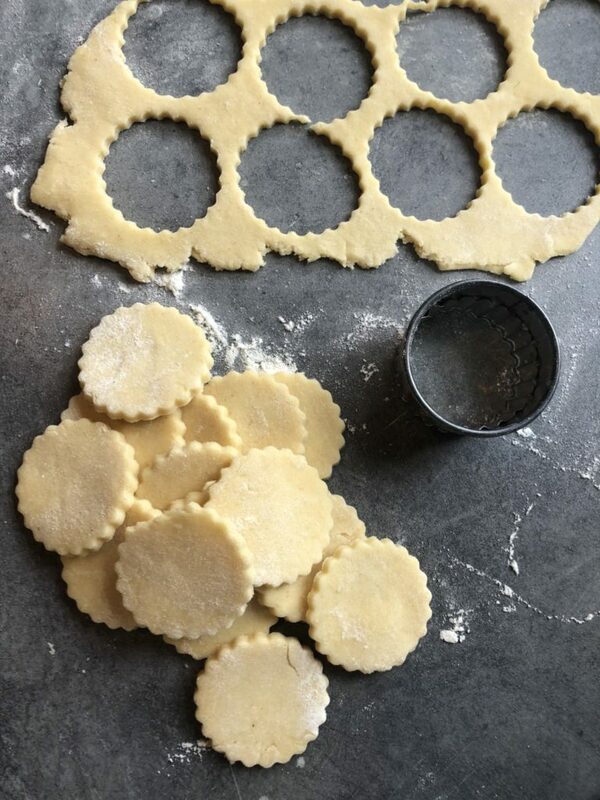 Roll the dough out onto a floured surface and cut out rounds and place on the prepared baking tray, leaving a small gap between them. They won’t spread much. Sprinkle over the grated cheese and bake for about 10 minutes until light golden, the cheese has melted and the crackers was slightly puffed up.